Last Tuesday, the University Centers Advisory Board decided to renew Round Table Pizza’s lease for one year, reversing a May 2016 decision not to renew the lease. Board members voted unanimously to keep the pizza parlor in Price Center, citing concerns that, due to delays in the leasing of the Porter’s Pub space, students would be without two alcohol-serving restaurants for a “significant” amount of time, according to UCAB Chair Luke Wang. The renewed lease is set to expire June 30, 2018. The earlier decision to let Round Table Pizza’s lease expire in June 2017 was based on the presumption that a vendor would be finalized for the Porter’s Pub space by the end of the year. “We estimated that the pub would be nearing completion when Round Table’s lease is up,” Wang told the UCSD Guardian. 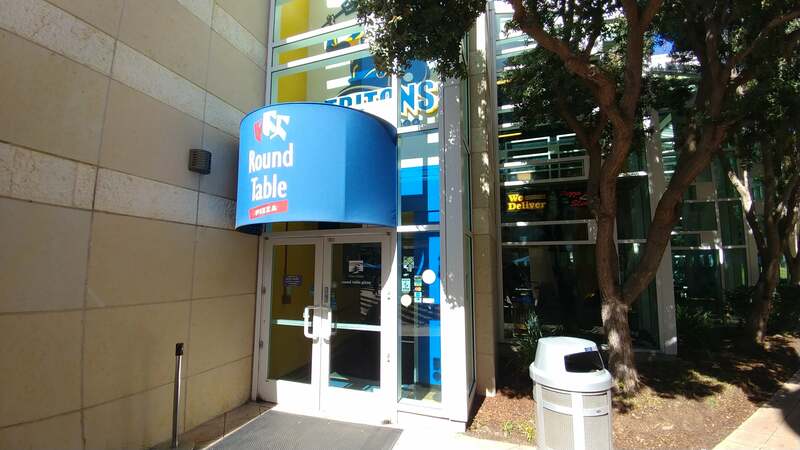 When the decision not to renew Round Table Pizza’s lease was made last year, UCAB identified lukewarm student reception to the restaurant and low scores on student satisfaction surveys and secret shopper data. In choosing to extend the lease, UCAB also considered the unoccupied restaurant space in Price Center where D’Lush was located before being evicted for failure to pay rent last June, Wang said. During the one-year extension, University Centers and UCAB will work together to form a feasibility study on the Round Table Pizza space, which will better prepare the organization for choosing a new vendor when the lease expires. The study will also help UCAB draft renovations for the space, which it hopes to undertake after Round Table Pizza moves out and before a new vendor moves in. Construction and leasing has taken longer than anticipated for the renovation and finalization of a vendor at the Porter’s Pub space as changes continue to be made to the lease. Each time a change is made by either the university or the vendor, the change must be approved by the other party. UCAB Vice Chair Ashley Awe said it is impossible to know how long it will be until the lease for the space is finalized, but that the vendor will be announced as soon as the lease is signed. “We cannot predict how many times a change will have to be made to the lease, causing it to go back and forth,” Awe said. Round Table Pizza has served pizza and beer in Price Center for 27 years.